Teres Major, Outstanding and Cheap? I know, I know. First you’re wondering what the heck is a teres major and why do you care if it is outstanding or cheap. What if I told you it also goes by petite tender? Petite shoulder tender? Shoulder tender? Doesn’t help. OK then. It’s steak. Tender, delicious, amazing, stupendous steak. Does that help? I was as clueless as you are when I first saw one. I asked what it was too. One of the meat cutters told me that I’ve probably already had it and never knew. He said local restaurants serve teres major all the time as steak modiga or as medallions. “The teres major is a seldom used muscle in the shoulder that is second only to the tenderloin filet in tenderness. This muscle requires skilled craftsman to extract, but yields a wonderful dining experience and is a new leader in trendy white table cloth restaurants. 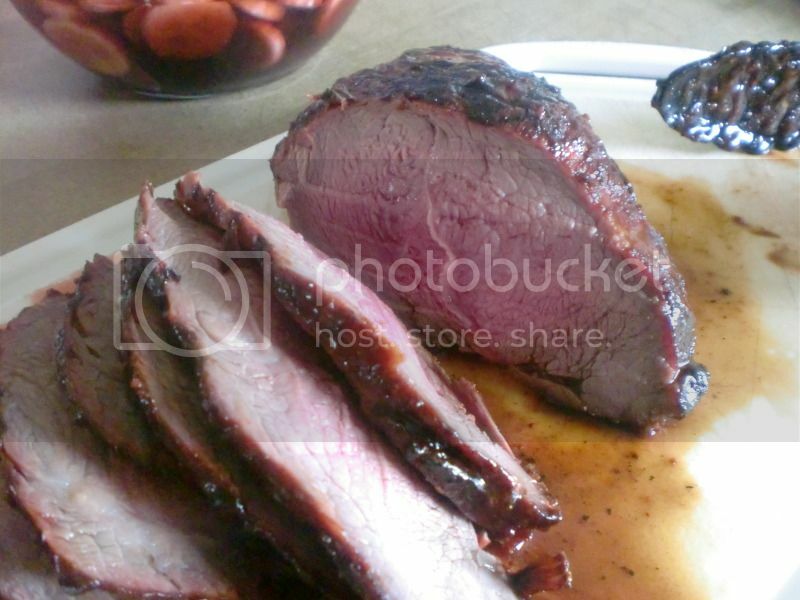 It is very similar to beef tenderloin (or filet mignon) in that it is also lean and uber tender, but not quite as lean as filet or tenderloin and thus it has better flavor and is generally about a full third cheaper. There’s a reason filets are wrapped in bacon. The bacon gives the filet flavor it just doesn’t have due to a lack of fat. While the petite tender is not quite as tender as the filet, it has more fat and thus is tastier. And when I say not quite as tender, I’m not saying it’s tough. It’s just about the most tender steak on the cow not named tenderloin. Don’t bother looking for a huge petite tender or teres major . They generally don’t come larger than about 12 ounces. This is a fairly large one at about 14 ounces. Please no meat measuring jokes here. This is a family friendly site. This steak does not make for the greatest cross hatch grill marks. As it puffs up (I’ll show you that in a minute) it goes from flat to round. It will never have the beautiful marks of a NY strip or rib eye. But it still has a fantastic flavor crust going here, if I do say so myself. Once the teres major (petite tender) has been seared on each side, move the steak to the side of the grill with no heat and close the lid to bake until the desired doneness. For me it was done after the searing, but I like my steak with a faint pulse. I’m OK if my steak is only in a coma. If you like your steak more well done than that, don’t cut into it to find out if it is grilled properly. Use the thumb test to determine the doneness of the steak. But how does it look sliced? Dare I say perfect? I dare! I can’t put into words how delicious and tender the teres major (petite tender) is. It blows me away every time I grill and eat one. If you are going the paleo route and the prices of steak is wrecking your bank account, this might be the key to a successful paleo diet strategy. All of this begs the very obvious question. Where do you find teres major (petite tender) steak? Your grocer might carry them in vacuum packed packaging from time to time. Otherwise, you need to go to your meat cutter. You should be going there anyway. You’ll thank me later. If you have any questions about this cut or this grilling recipe, feel free to leave them below or shoot me an email. This steak is great. The price had me convinced that it was a shady cut, but the end result was shocking. It truly does grow as you grill too because it was about 50% bigger when it was finished. I’ve always loved the grill, but this site has taught me more in a handful reads than I’ve learned my whole life. I can see how this can become addicting. Thanks for the great info and ideas! Yo! After reading your blog entry on the Teres Major, I went out in search of the cut. I found about 3 lbs of it at a local butcher shop (although not all butchers will take out this portion of the chuck for you). The steak was very tender considering it was from the chuck but was far from being as velvety as Filet. I did up about 3 of them just putting a rub on them. Cooked them up to MR. They turned out very good and in fact, the flavor of this cut can certainly stand up to a marinade that is a bit more bold. I am looking forward to trying to some other flavor profiles with this cut. Just heard or read about Teres Major “mock tender” last week, so of course had to go in search…my Safeway butcher was able to help me out; which surprised me in this little town, but he came thru. Googling to see how to play with the cut, ran across this post – and you caught my eye. will be playing with it later this week. thanks for all the info and play by play of your method. Back after smoking and grilling a ‘Teres Major’ or ‘Mock Tenderloin’ – I agree, what a surprisingly tender cut of beef and tasty as well. 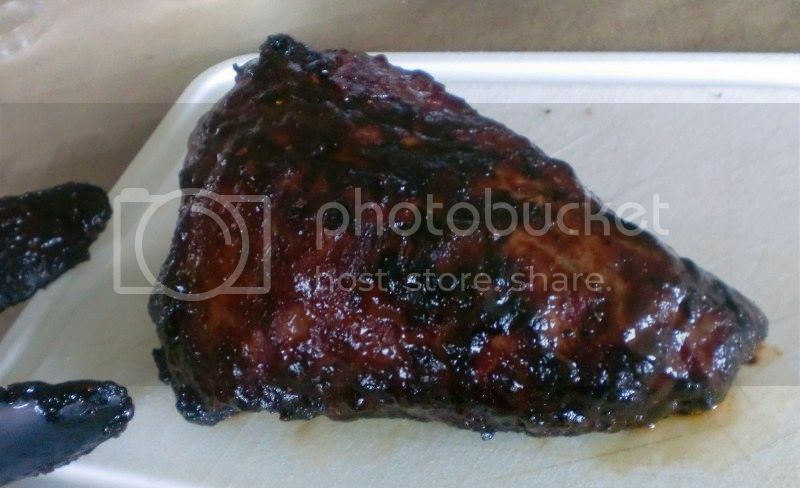 I dry rubbed it and allowed to sit overnight, then smoked for 1 hour 20 minutes. Grilled for dinner, but grilled just a tad too long for us, since we love rare, but the flavor was certainly there. Thanks so much for posting your method – I’m so ready to play with the cut again!! Glad you enjoyed the post and found this delicacy! Great article! The pictures are great, along with the detailed play-by-play. Just stumbled upon this cut of meat and found your site. Haven’t cooked it up yet, but your adoration leaves me eager to try it! I know this post is old. But I wanted to share the fact that they sell this cut on US Wellness Meats. It is a grass fed/wild caught meat site that I love. Had one at a local steak house last night. Yep making Good Dog Food today! No Flavor, Tough, Was told it was a lot like sirloin or tenderloin, Nothing like Tenderloin for sure, Sirloin has a lot more flavor to it. Sorry it may make good Hamburger but Not a good Steak! Is there a certain way to slice it?? Is there grains like a brisket? Do you just slice like a Tenderloin? I’m looking forward to grill one soon. Bob, just slice it like a tenderloin. I have been using Teres major for a few years now. As a sous chef I had heard of it but never had it until my boss turned me on to it. He moved on and I am using it more than ever..it makes a wonderful black and bleu wedge salad, any salad really..
Scott, I am from the St. Louis area as well, can you say which stores sell the steak and what a good price is? I have called around and can’t find it. Thank you. These guys used to have it, but it caught on and they would run out sometimes. Awesome that you brought this cut to light. I’ve enjoyed grilling w it for years. As others have said, it’s not EXACTLY like T. Loin, but it is a favorful, tender cut that does give you that same sort of vibe. A simple maranade of EVOO, red or white wine, a squeeze of oj, salt, pepper and garlic really works well w this cut also.